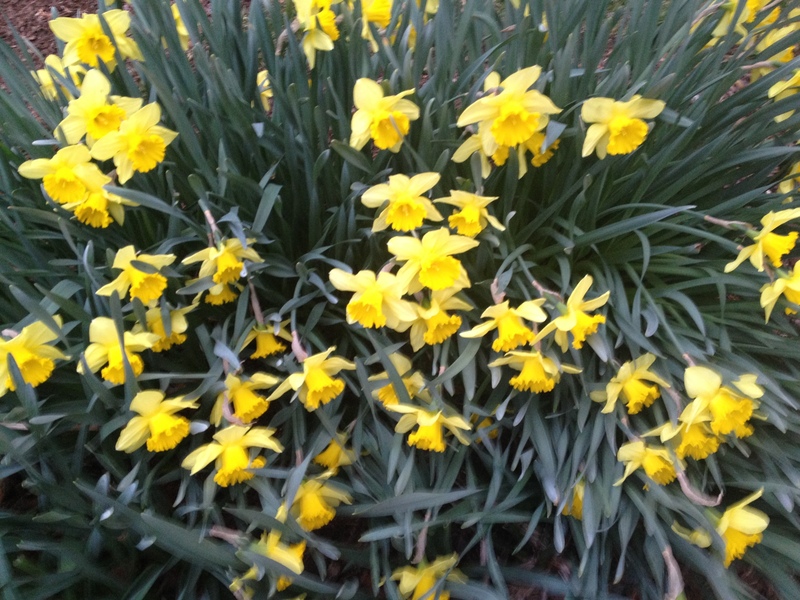 Stealing My Neighbor’s Daffodils – Amy Lyles Wilson, M.A., M.T.S. When I was about five, my family moved from one subdivision to another in my hometown of Jackson, Mississippi. Soon after we arrived, a woman came from next door to welcome us to the neighborhood. Mother told me to go out back and play while they visited. So I did. After roaming around for a bit with my Labrador sidekick, Sloopy, I found the longest row of daffodils, all yellow and good smelling, lining one side of the yard. I picked a bunch of them, delighting in my discovery, and took them in to Mother, my chubby fingers wrapped around the stems. Somehow she knew what I didn’t, that the flowers bloomed on the property next to ours, owned by the nice woman sitting on the couch. She was lovely about it, this new friend, but my mother was not amused. The neighbor, Mrs. Wise, and I laughed about it when I was older, with her telling me I could pick those flowers anytime, that she just wanted people to enjoy them. The last time I saw her she brought a card to my father in the hospital after he collapsed in a restaurant while eating lunch. Once again Mrs. Wise and I spoke of the daffodils, although she was well into her eighties then and said she had no memory of my indiscretion. Why would she? Why do I? Because of the shame of it, perhaps, one of those early scoldings we think we didn’t deserve. An early embarrassment. Or maybe it was my first meaningful encounter with a daffodil. “But I wouldn’t have minded if you picked those flowers whenever you wanted,” she said as we visited in the lobby of Baptist Hospital on North State Street. “This is for Earl,” she continued, handing me the card. “Get well soon,” it read. Daddy died the next day, Mrs. Wise several years later. Every spring when I pick daffodils in my own yard in Tennessee, I think of them both, a neighbor and a father who made lasting impressions on me.